Jr. NBA Philippines 2017 presented by Alaska returns this year to the Philippines from January 20 to May 14 as part of the league’s effort to encourage youth basketball participation. The skills clinics will be held nationwide from January through April with stops in Bacolod, Batangas, Cagayan De Oro, Cavite, Cebu, Metro Manila and Subic. The Regional Selection Camps will be held in Cagayan De Oro (Feb. 11-12), Lucena (Feb. 25-26), Cebu (March 11-12) and Metro Manila (April 1-2), with the top 37 boys and 37 girls advancing to the National Training Camp in Manila on May 12-14, which will feature an NBA and WNBA player or legend. 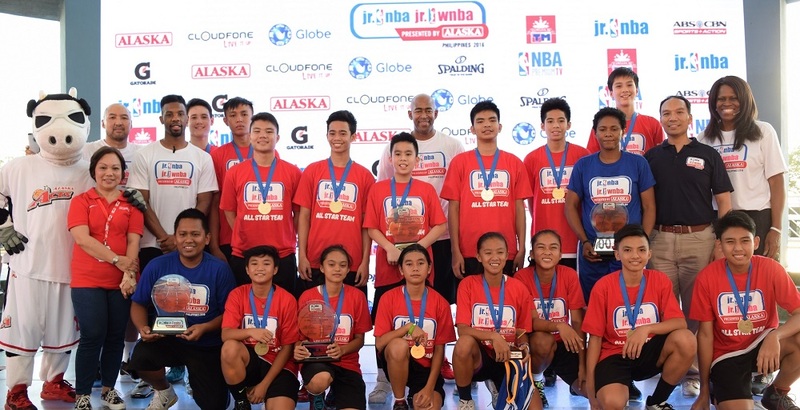 The program will culminate with the selection of 16 Jr. NBA All-Stars, comprised of eight boys and eight girls, who will embark on an overseas NBA experience trip with fellow Jr. NBA All-Stars from Southeast Asia. 133,000 – The Jr. NBA Philippines Facebook page has more than 133,000 followers. 57,000 – More than 57,000 players have participated in the Jr. NBA Philippines. 3,000 – More than 3,000 coaches have participated in the Jr. NBA Philippines. 94 – 94 Jr. NBA All-Stars have been selected. 64 – Jr. NBA clinics have been conducted in 64 municipalities and cities across the Philippines. 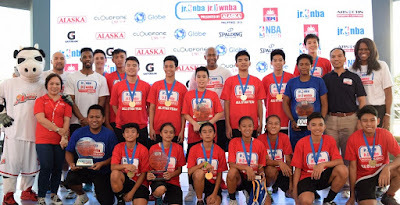 10 – 10 current and former NBA and WNBA players have participated in the Jr. NBA Philippines: Tina Thompson, Ruth Riley, Taj McWilliams-Franklin, B.J. Armstrong, A.C. Green, Luc Longley, Muggsy Bogues, Gordon Hayward, Nerlens Noel and Norris Cole. 2 – Two Jr. NBA Philippines alumni, Aljon Mariano and Raphael Banal, are currently playing in the Philippine Basketball Association. 1 – One Jr. NBA Philippines alumnus, Kobe Paras, plays for Creighton University, an NCAA Division I team. The 2017 edition of Jr. NBA Philippines will begin the search for the Jr. NBA Coach of the Year Jan. 20 in Manila, led by Jr. NBA Head Coaches Craig Brown and Chris Sumner with Alaska Power Camp Coach Jeff Cariaso. Fourteen (14) Jr. NBA coaches will be selected as finalists and trained at the National Training Camp, with two Jr. NBA Coaches of the Year awarded with an NBA experience trip. The Jr. NBA program is free and open to boys and girls ages 10-14. Coaches and participants can now register online at www.jrnba.asia/philippines, where the program terms and conditions can be found.